Nail polishes today are available in numerous colors and types. Apart from the regular hues, there are the neon colors, the glaze, metallic and matte. Putting nail polish designs on finger and toe nails are considered an artwork. It’s a creative activity that enhances the overall look of a woman. 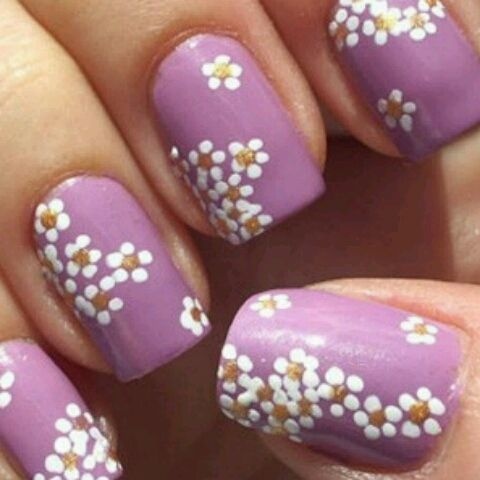 For a start, you can start with a simple design such as flowers. For those who don’t want to go through the process of painting their nails, the best option is to use artificial acrylic nails with ready-made designs which can easily be stuck on top of the natural nails. There are actually two types of artificial nails – the tips and forms. The tips are normally made of plastic plates and glued on the end of the nail. The forms, meanwhile, are fitted on top of the nail itself. It’s never too late to try out something new in your life even if you’re already in your 40s or 50s. Life is too short and it won’t do you hurt if you change something in your life such as adding color to your nails.